"Just exudes this calm confidence," ... "he has this wisdom which I can see clients just really, really like. He's one of these lawyers who just know exactly which are the good points and which he can drop. 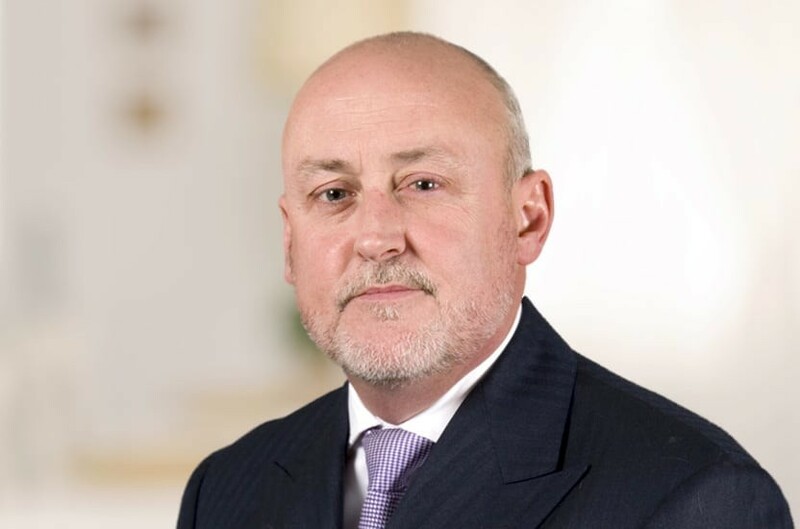 That comes with years of experience, but also being intelligent and knowing which call to make"
Prior to joining Payne Hicks Beach in 2000 Philip practiced as a partner with James & Sarch of Gray's Inn where he qualified and where his practice was principally family law and general litigation. Since 2000 Philip's practice has been exclusively family law; primarily financial remedy work. With a reputation for being commercially minded and pragmatic he is regularly instructed in complex financial litigation, often with an international dimension, in relation to which he has considerable experience. In recent years, Philip has developed a busy practice in pre and post nuptial agreements, often with a foreign element and, if so, in conjunction with overseas experts. Philip represented the successful husband in one of the early post Radmacher cases (V –v- V (Prenuptial Agreement)  1 FLR 1315). On the non-contentious side, Philip advises in relation to separation agreements, cohabitation contracts and, in conjunction with the firm’s tax and trust department, asset protection issues. Philip also deals with disputes relating to children; principally schedule 1 and section 8 CA 1989 applications. MA-H -v- ZS  EWHC 3271 (Fam) (Part III MFPA 1984 claim following Saudi Arabian divorce (talaq) [see H -v- S below]. Decision of Baron J). H -v- S (Recognition of Overseas Divorce)  EWHC B23 (Fam) (recognition under s.46(1) FLA 1986 of a Saudi Arabian divorce (talaq) for the purposes of English divorce and connected proceedings). V -v- V (Prenuptial Agreement)  EWHC 3230 (Fam) (treatment of pre-nuptial agreement in the Court's discretionary exercise post Granatino; notably, Charles J. 's view that Granatino "effectively adds another rationale or principled approach to the reasoning to be applied in the judgmental or balancing exercise demanded by the statutory test, namely that weight should be given to autonomy"). B -v- B (Ancillary Relief)  2 FLR 887 (Jersey trust case : principal question, the extent, if at all, assets held in Jersey Trust - in two sub funds - "financial resources" within the meaning of s 25 of the Act). Judge -v- Judge  1 FLR 1287 CA (Mistake / (alleged) non-disclosure case. Potential liability estimated and left with H (range, nil to £14.5 million) Crystallised liability much smaller. Whether W could set aside Order on basis of mistake / non-disclosure). Corbett -v- Corbett  2 FLR 385 CA (Enforcement / Judgment Summons). Attar -v- Attar (No's 1 & 2)  FD 649 & 653 (short marriage case : 6 months marriage / 6 weeks cohabitation; H Saudi Arabian multi millionaire; enormous disparity in wealth; computation of rehabilitative lump sum). Chambers UK recommends Philip. "A highly astute, commercially minded solicitor who never misses a point,” say sources, who add: "he's a very good choice for the high net worth client with a business background.” Philip is noted for his expertise in both matrimonial finance and private children law matters, as well as his handling of pre and post nuptial and cohabitation agreements. He focuses on financial remedy work and frequently acts on matters involving cross-border complications. Also, according to impressed interviewees, Philip is “very knowledgeable” and “thoroughly level-headed”. Chambers HNW writes that Philip is “tremendously clever…he is a good lawyer and a good person…he has an encyclopaedic knowledge of the law". An interviewee comments that, "I wouldn't hesitate to recommend him for a complicated, big-money case." The Legal 500 UK ranks Philip as a leading lawyer and writes that the "phenomenally knowledgeable" Philip McGuirk is "highly effective and achieves good results for his clients without drama or blood on the carpet”. He is "hugely able and experienced". Qualified 1985, joined Payne Hicks Beach 2000, partner 2000. "He is a good strategist and utterly charming...hugely adept at complex and nuanced litigation"